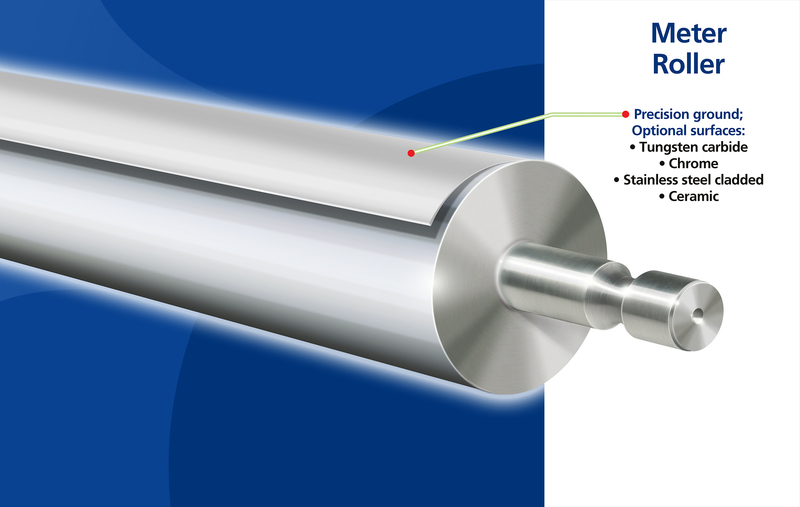 ARC offers our clients an industry recognized quality Meter Roller. The Meter Roller, when run with the proper OEM gap settings, is designed to meter or doctor the glue applicator roller so that the proper amount of starch is applied at the single facer or glue machine. Rollers are cylindrically ground to give you the best possible TIR and taper, guaranteeing uncompromising gap control and consistent glue line at various speeds.